Yes, Saint Patrick’s Day is an international celebration pretty much like Oktoberfest. We do not know — or care — much how or why they started but we celebrate them all the same. Because, honestly: what brings people together better than revelry? Of course, Dublin, New York, and Boston are obvious destinations with world-famous St. Patrick’s Day parades, but there are other hotspots that are particularly proud of their Irish heritage. Some of them are surprising although great to visit: see for yourself. The Montserrat’s Hibernian roots go as far back as 1632 with people who fled an Anglican England to freely practice Catholicism. Nowadays, visitors relish in everything there is to expect from a tropical paradise: from hiking verdant landscapes to explore the submarine wonders of the Atlantic. Montserrat has a weeklong Saint Patrick’s festival that commemorates a local 18th-century uprising as much as the original Irish celebration itself. Events blend African and Irish music, feasts, and runs. Visitors will be overwhelmed by a rich history and welcoming local culture through a subtle blend of African beat, Irish music, runs, and — of course — feasts. No doubt Cabo Roig hosts the biggest Saint Patrick’s Day parade in Spain. This Mediterranean hotspot is already the scene of under-the-star fiestas with exotic cocktails, flamenco dancers, and international crowds alongside the picturesque coastal scenes. During St. Pattie’s, expect fireworks, marching bands, and more. Spend the morning on the beach, the afternoon in a cafe near the Strip to watch the procession, and your night into Guinness-fueled parties. The Kiwis have an ongoing Irish emigration that dates back to the mid 19th century. You understand that Saint Patrick’s Day is a big deal there, especially in Auckland, NZ’s largest city. If you ever needed an excuse to visit, let it be the 10-day celebrations towards Saint Patrick’s. Events include a Fair Day, a Parade, the Emerald Ball, and the Pleadth. No doubt, March is a good time to visit Auckland! Montreal stands out as a top bachelor(ette) party destination thanks to its vibrant nightlife, multicultural influences, and the libertarian lifestyle of the locals. Pretty much like in NYC, Montreal hold its St. Patrick’s Day dear judging by its uninterrupted run since 1824. Constantly held on the Sunday closest to March 17, the three-hour-long parade of floats, bands, and costumes precedes a night of Irish pub crawl in downtown Montreal and the famous rue St. Catherine. 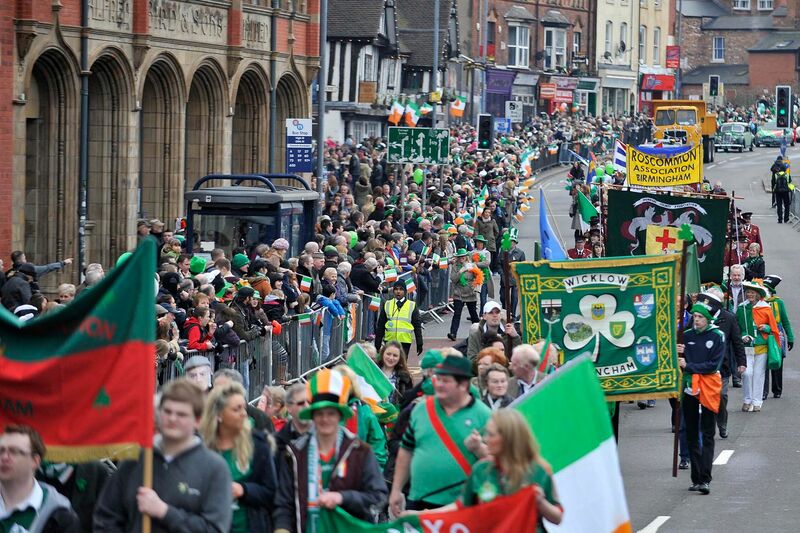 The UK’s largest Saint Patrick’s Day Parade rivals those on the Emerald Isle themselves. The route followed by drum corps, floats, and dancers go along the pubs in the Digbeth quarter. Like in Montreal, the Parade takes place on the Sunday closest to March 17 and reflects not only the city’s Irish heritage but its cultural diversity. No doubt in the US alone there are many popular destinations where Saint Patrick’s Day celebrations are at their best. However the 5 locations above will add something exotic and exciting to your revelries other than the quality of the booze. How do you celebrate St. Patrick’s Day?